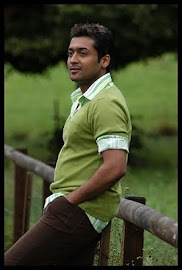 Actor Surya who has completed his Hari directed Singam 2 has taken off to the U.S with his family for a holiday. The star would be in the U.S for a couple of weeks rejuvenating himself and enjoy his much needed break from work after wrapping up Singam 2 in quick time. He would be back in town in time for the audio launch of Singam 2 on June 2nd. Singam 2's post production are almost done, and so Kollywood's heart throb actor will return back to hear the roar of Dorai singam in town. Surya would would next be joining hands with Gautham Menon for Dhruva Natchitharam which is set to kick start in August according to the director. The pre-production of Gautham Menon's Dhruva Natchitharam is going on at rapid pace and the fans would be hopeful that the successful duo of Gautham Menon and Suriya give a hat trick of hits after their super-hit films Kaaka Kaaka and Vaaranam Aayiram.